If you haven't noticed (because you don't have an internet connection), social media is abuzz about the death of singer-songwriter Pete Seeger. In fact, if one more person posts a picture of him, Facebook may actually explode. So rather than doing likewise, I thought I'd offer tips for incorporating Pete Seeger songs into your Sunday worship service. Yes, folks, this is the Seegcharist (the term coined by my archnemesis Scott Gunn). OPENING HYMN: The Bells of Rhymney (This is an obvious choice as bells are often used to announce the start of worship. Also it has this great line: "Even God is uneasy, say the moist bells of Swansea." Lector: A Reading from Pete Seeger: In His Own Words. People: Thanks be to Pete. 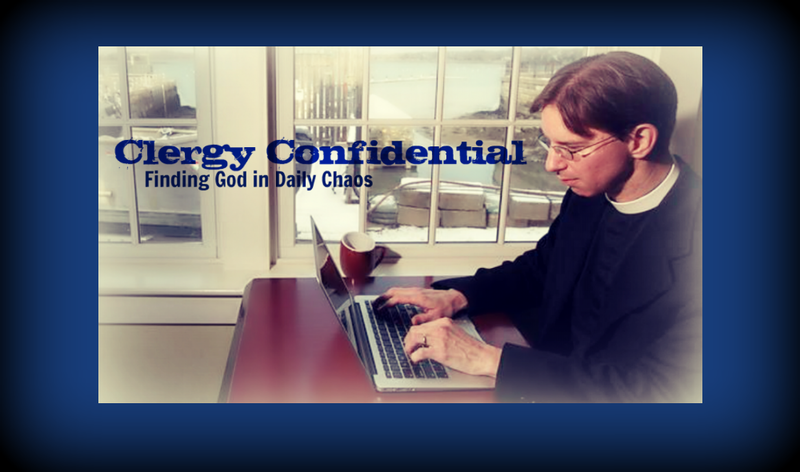 I usually do a little meditation and prayer every night before I go to sleep - Just part of the routine. Last night, I decided to go visit Pete Seeger for a while, just to spend a little time together, it was around 9 PM. So I was sitting in my home in Florida, having a lovely chat with Pete, who was in a hospital in New York City. That's the great thing about thoughts and prayers- Y...ou can go or be anywhere. It's the bell of Freedom, It's the song about Love between my brothers and my sisters, All over this land." EUCHARISTIC PRAYER C (duh) -- including "At your command all things came to be: the vast expanse of interstellar space, galaxies, suns, the planets in their courses, and this fragile earth, our island home." WARNING: Don't even think about actually using this on Sunday morning! Regarding not doing this on Sunday morning: I'm sure we've all been at much worse services! 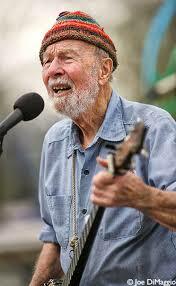 Rest in peace, Mr. Seeger; or maybe "Keep on singin'!" I absolutely agree with Jill. This would be a great tribute. You have a great imagination, which is a very powerful gift.